UTD rugby will be using a new website for the 2018-2019 season. All home games are played on soccer field 6 on the UTD campus. 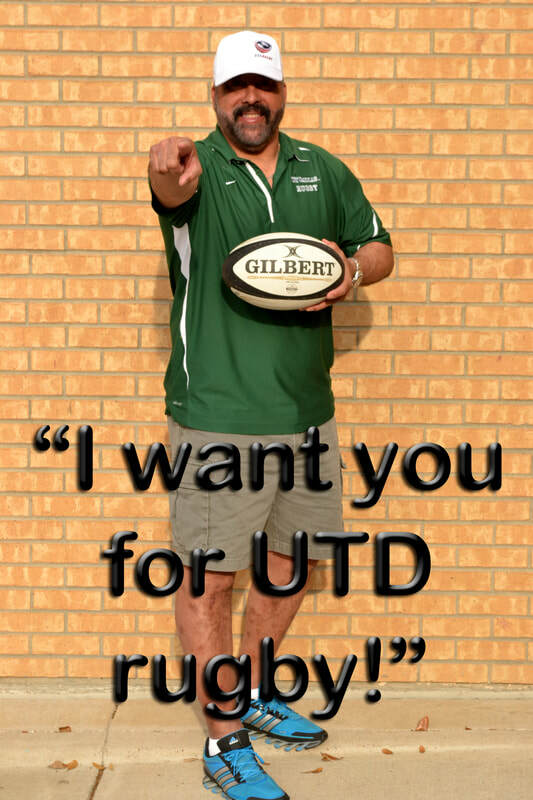 Click on Coach Tony to watch the UTD recruiting video. "If your shorts are ripped off while running with the ball, keep running, for many a naked man has scored a try."